Join others with scoliosis in a nurturing and empowering container. Deepen your yoga practice and gain tools for self care. Share your story with a group of people who have similar experiences and welcome healing into your life. 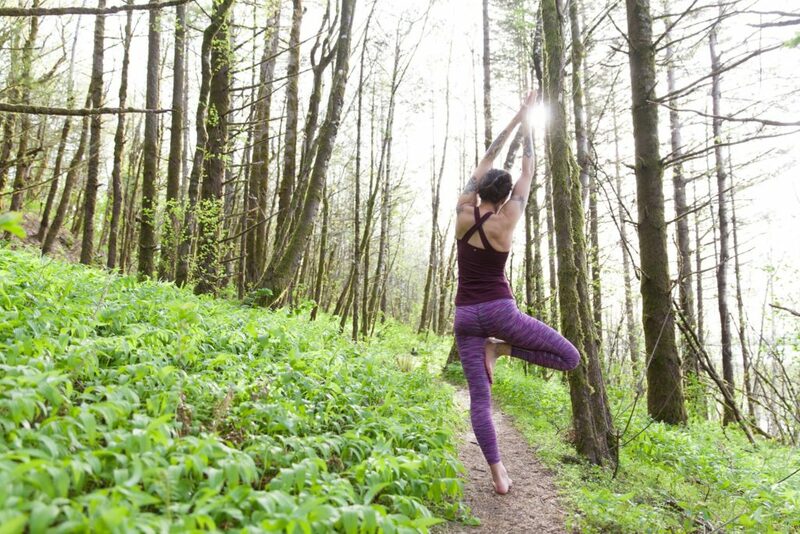 Retreats create a space away from the usual routine, allowing you to unwind and move deeper. This retreat offers a unique focus of bringing together those with scoliosis to work therapeutically to help realign your spine and reset your nervous system. The yoga practice will include specific instructions for each pose for the various scoliotic curvatures. You’ll learn about basic anatomy and the scoliotic curvature patterns of the spine. Discover the role yoga can play in creating awareness, relieving pain, and restoring a sense of balance to the body. 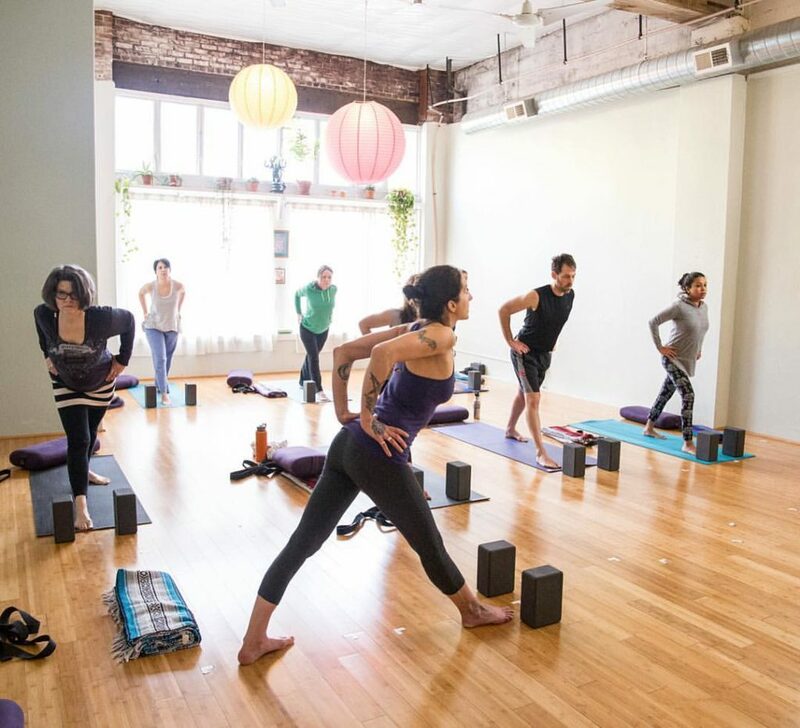 Having a few days to practice together will allow for greater continuity to receive the modifications and adjustments learned in the yoga practice for scoliosis. The tranquil setting will allow for deeper relaxation along with nourishing food and space to simply relax, unplug, and walk around in nature. 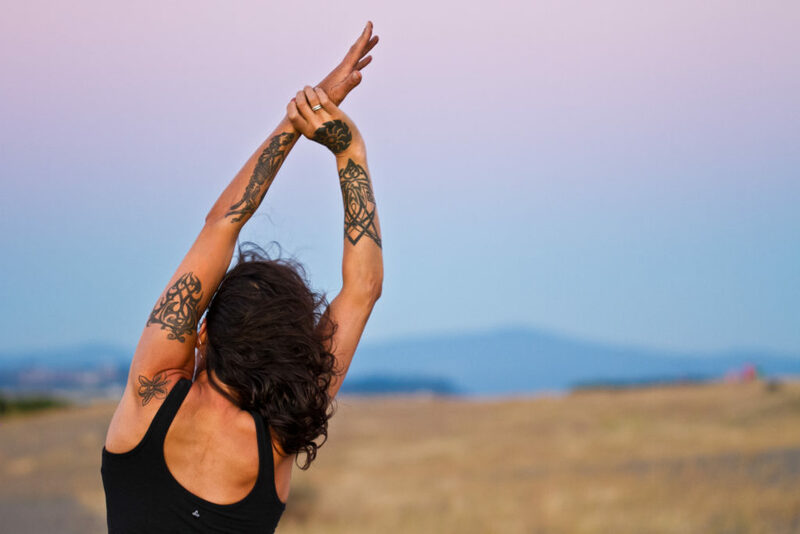 The 2019 Yoga for Scoliosis Retreat with Alix Northup is a therapeutic, informative, and empowering experience of realignment and restoration in a peaceful setting during the powerful time of the Summer Solstice. This retreat is open to all levels and physical limitations. Practices include standing poses, sitting, and movements on the floor. Various props will be used and personalized modifications will be provided. 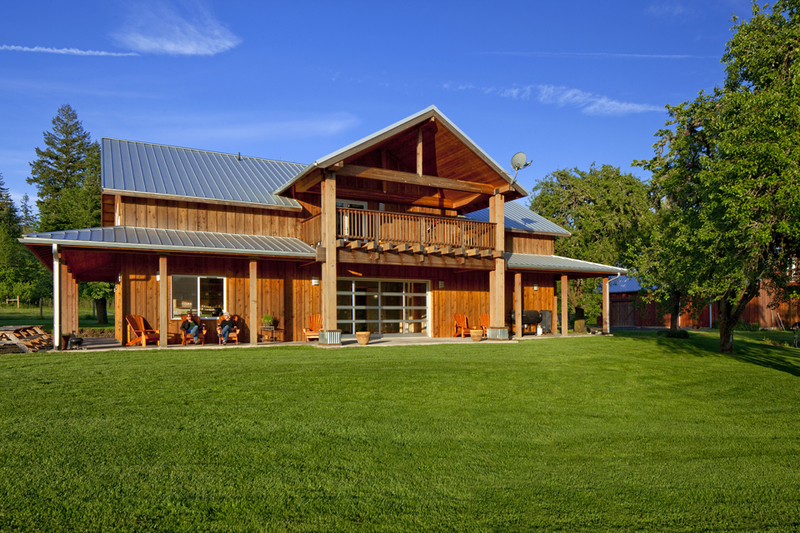 Located only an hour from Portland, Coastal Mountain Sport Haus is nestled within the Oregon Coastal Mountain Range. The 100-acre property has been in the family since 1938 and is also home to a herd of Italian heritage cattle. Beyond the pasture, you’ll find a walking path that follows along the Nehalem River. 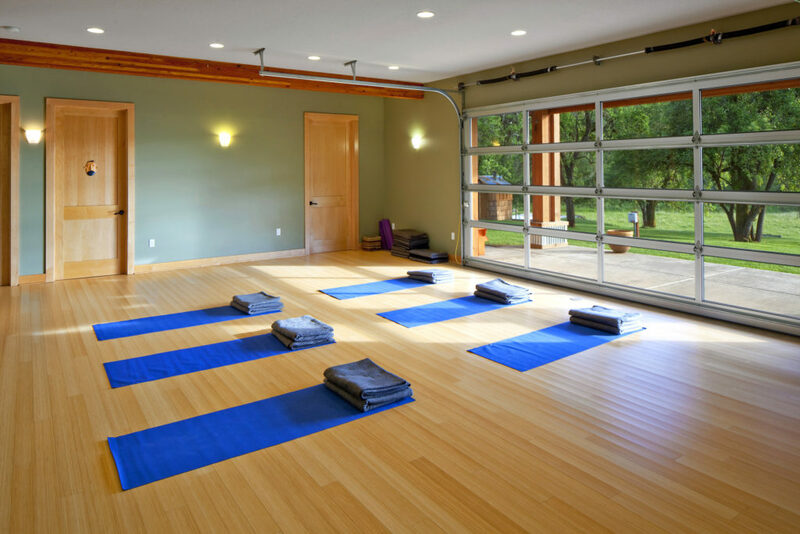 The cozy yoga practice space in the Main Lodge has heated floors with a lovely view of the surrounding natural environment. Shower room and dining area (complete with espresso machine!) is adjacent to the practice space. 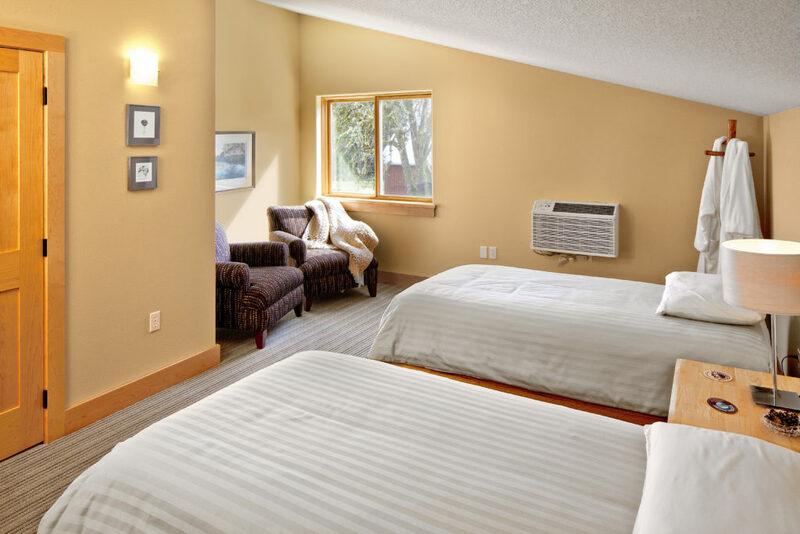 The private and shared rooms are bright and airy with high quality mattresses and linens. The bathrooms are stocked with natural lotions and bath products, including luxurious towels. Located on the second floor, the Main Lodge rooms each have a private half bath. Also on the second floor is a community gathering space with large balcony overlooking the pasture and woodland setting. Located a short distance from the Main Lodge, the Bunk Room has four sturdy, wooden bunk frames with extra long twin mattresses. 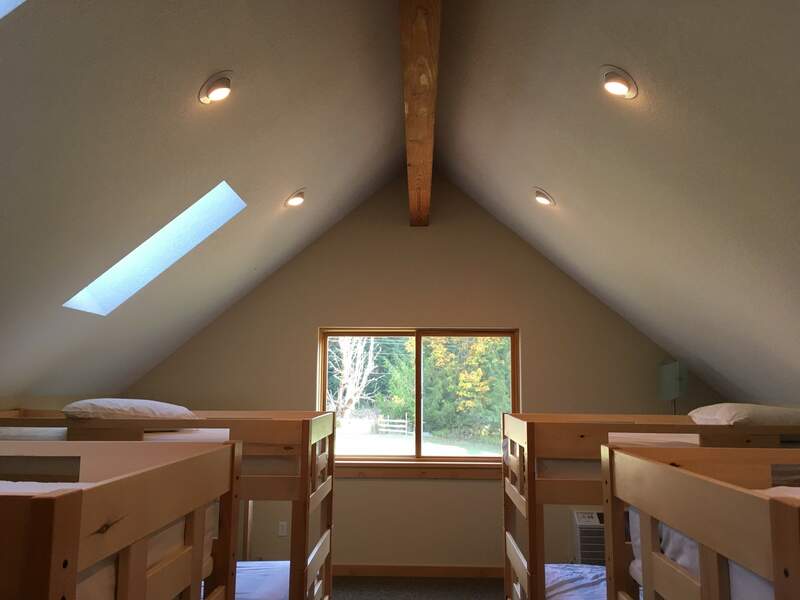 The Bunk Room is on the second floor with multiple skylights and a pitched, exposed beam ceiling. Bathroom and shower is adjacent to the Bunk Room. Having taught several local weekend retreats as well as international retreats in Nepal and Costa Rica, Alix believes in the importance of retreats. Retreats provide an opportunity to go deeper into the practice and allow for more continuity of learning the modifications specific to scoliosis as well as allowing the nervous system to unwind deeper layers of held tension. Alix is registered with the Yoga Alliance at the 500 hour level. 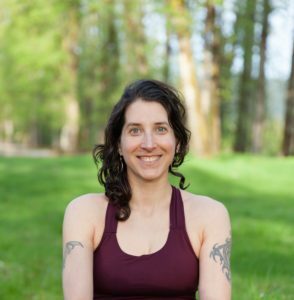 She received her 200 hour training with Prananda Yoga in 2007, and recently completed 300 additional hours of training with Tias and Surya Little of Prajna Yoga based in Sante Fe, New Mexico. She completed her Yoga for Scoliosis teacher certification through senior Iyengar teacher Elise Miller and continues to study yoga for backcare and scoliosis with Deborah Wolk from NYC. Don’t see your question below? Send Alix an email. You’ll receive an email closer to retreat to help facilitate carpooling. I have a special diet. What will I eat? When you complete registration, you’ll have an opportunity to share your dietary concerns. Chef and co-owner of Coastal Mountain Sport Haus, Sandy, will do her best to support your needs. The meals are prepared onsite utilizing fresh, local, and seasonal ingredients from the Pacific Northwest. There is also limited refrigerator and food storage space if you feel you need particular items during retreat. What’s included in the retreat registration price? Below is a tentative daily schedule. Please note times may adjust to best accommodate the flow of the retreat. What’s the retreat refund policy?